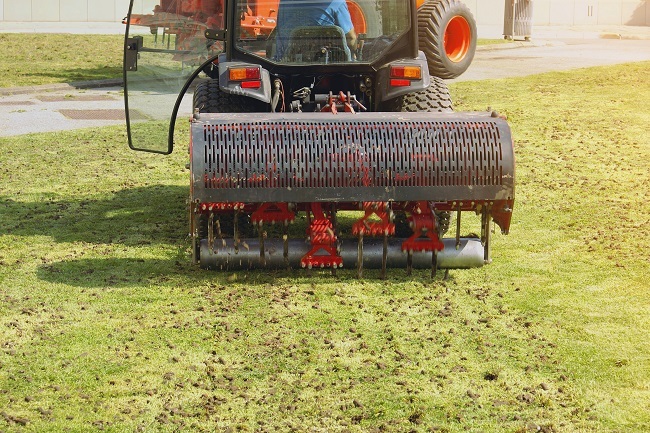 The Benefits of Aerating Your Commercial Lawn - Metro Lawn Care, Inc. Soil often becomes compacted over time, which can interfere with the growth of your grass. When the soil is compacted, air, water, and nutrients don’t circulate properly. Aeration perforates the soil with small holes. This allows water, fertilizer, and air to penetrate the soil and help the roots grow stronger and deeper. Aeration is an essential part of commercial lawn maintenance. Here are several reasons why aeration is an important part of maintaining your lawn. Packed, compressed soil makes it difficult for the grass to extract nutrients from the ground. It’s also harder for water and air to penetrate the soil and the grass to develop deep roots. Improper care, heavy foot traffic, and frequent mowing can lead to soil compaction. Aeration loosens the soil, allowing the grass to absorb water, oxygen, and fertilizer. Aerating your lawn reduces puddling and water runoff. Aeration increases your lawn’s resistance to heat and drought. Many landscape experts in Texas recommend aerating your lawn about once a year. It’s best to aerate your lawn just before a period of increased growth. Spring and fall are generally the best times to aerate. For even better results, fertilize or over-seed your lawn at the same time. To learn more about aeration and the services we provide, contact us today. We have been providing commercial landscaping in the Dallas area for more than 34 years.